An Expectation vs. 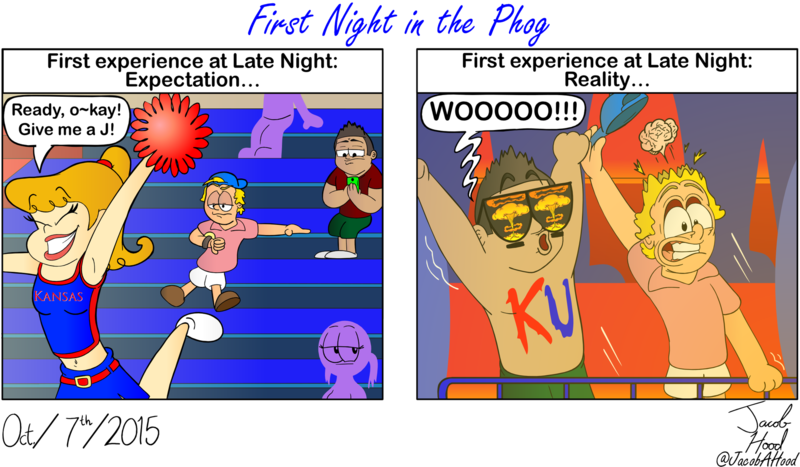 Reality of someone's first experience at Late Night in the Phog. A Jacob Hood comic/Kansan cartoon.